Today I thought that I'd share a tutorial with you. This particular tutorial is for a paper and vinyl card wallet. It is perfect for storing business cards, or debit and credit cards. I whipped up several of these this past weekend (before my sewing machine decided to quit on me). They are really quick and easy to make, and they are super inexpensive. I plan on giving these to a few of the girls that I work with at church for their birthday presents. I figure that it will be a nice place for the girls to keep their lunch money, student ID's, and their drivers licenses. They would make fantastic stocking stuffers as well. You could tuck in a gift card to someone's favorite restaurant or store. For the full tutorial click read more below. 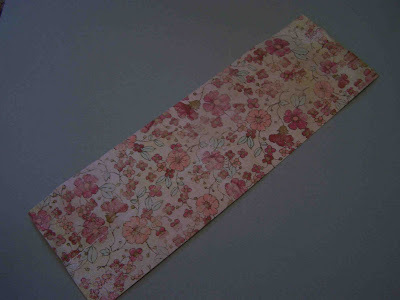 1- 3 3/4"x12" strip of double sided paper (scrapbook paper, subway map, magazine page, ect). 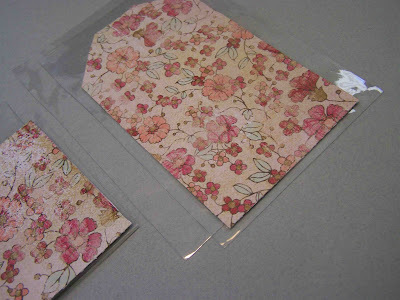 2- pieces of medium weight clear vinyl 5"x14"
Sewing machine, thread, and scissors will also be used. Cut your paper. You will want to cut your 3 3/4 inch strip of paper into two sections. The first cut is for the pocket flap. Cut it so that it is square, or 3 3/4" long. Cut the remaining piece so that it is 6 3/4" long. You will have a scrap left over. You will now want to fold your paper so that you have a 2 3/4" flap for the pocket. You can use a bone folder or a butter knife to achieve a crisp edge. Now make some tic marks on the back side of your paper to indicate where you are going to angle the corners. I made a mark 1 1/4" down and in from both edges. 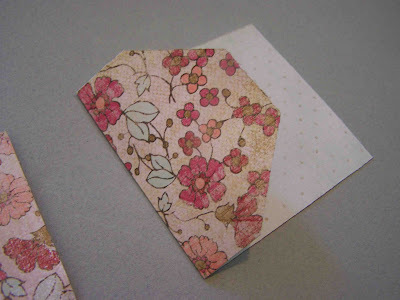 Now use a paper cutter or pair of scissors to angle the edges of your flap. You will want to connect the two marks on each side to cut a straight angle. Once your paper is prepped you will want to cut your vinyl. 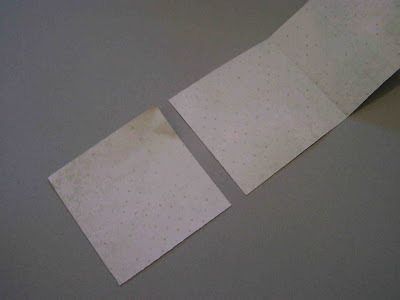 Each piece of paper needs two pieces of vinyl that are 1/2" wider (on each side) than the paper. This will make it much easier when stitching your wallet together. 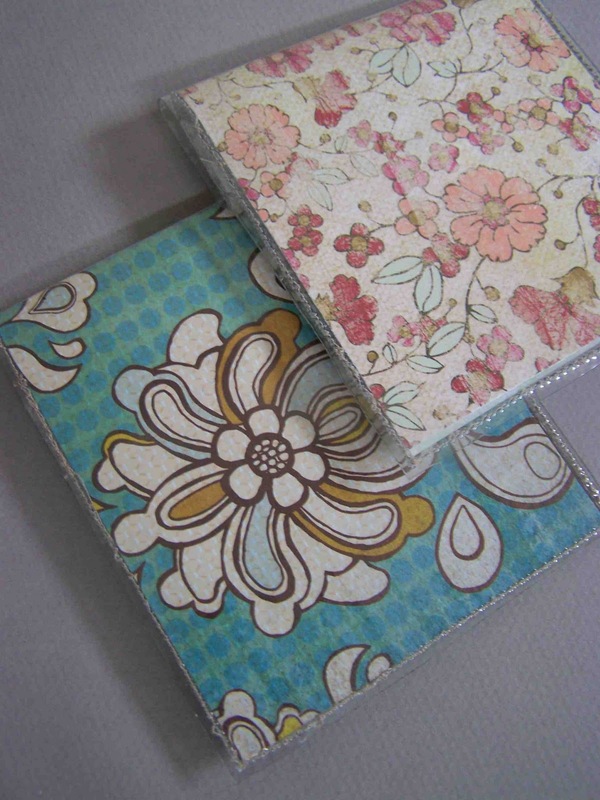 You will have two 4 3/4" square pieces of vinyl for the pocket, and two rectangular pieces of vinyl for the main body and flap of the wallet. Your rectangles should be roughly 4 3/4" by 7 3/4". Sandwich the square piece of paper between it's two pieces of vinyl. Stitch along one edge of the piece of paper. Take care not to stitch the paper as this will weaken it and may cause it to tear. 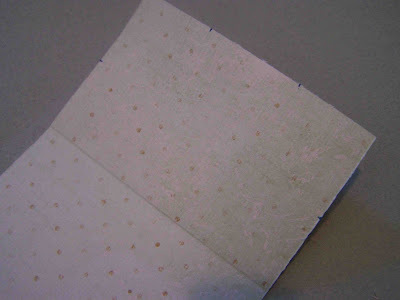 Once You have stitched along the top edge of the paper, trim the seam to 1/8". Sandwich the remaining piece of paper between the two large rectangles of vinyl. Align the bottom and side edges of the pocket with the bottom and side edges of the wallet body. The unseen end of the pocket should be at the bottom. 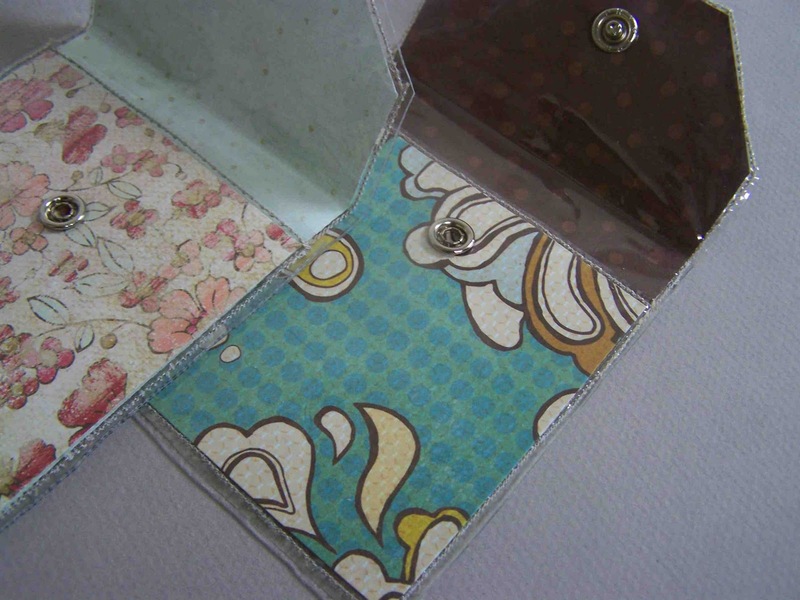 Stitch around the wallet starting at the top right edge of the pocket flap and stitching around the perimeter of the wallet. Back stitch at the beginning and end of each seam, and also at the top edge of the pocket for reinforcement. Attach snap following manufacturer's directions. I used a simple pearl snap, a heavy duty snap was not necessary. 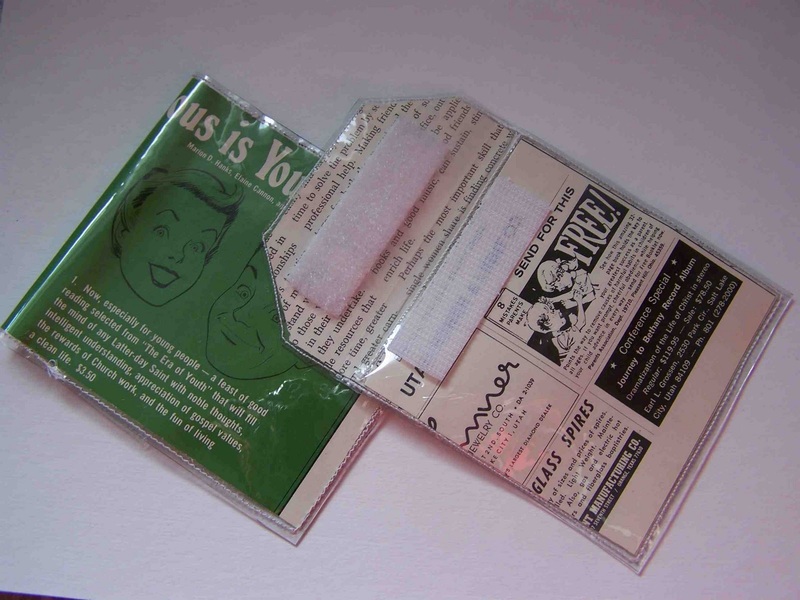 Self Adhesive Velcro can be used in place of a snap. Simply cut your velcro to size, center, peel back tape, and press in place. I prefer to have the rougher piece of tape on the bottom of the wallet. 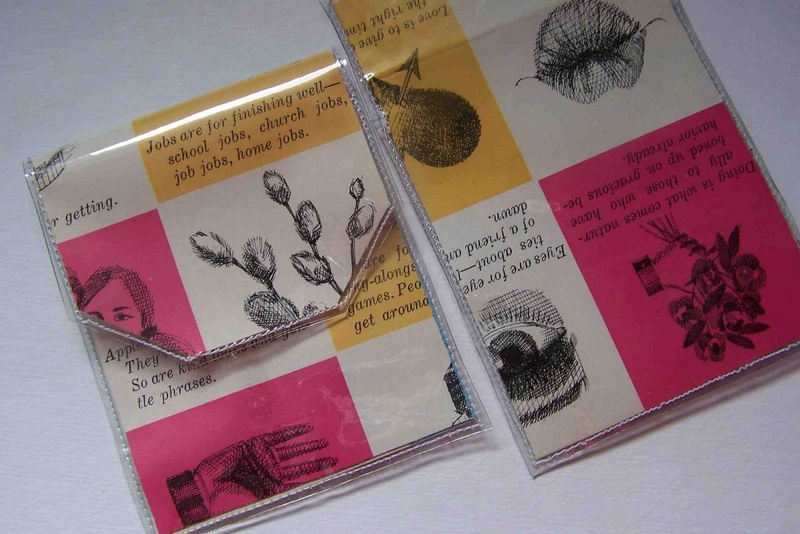 I made these two wallets using an illustrated piece from this 1968 issue of "The Era". 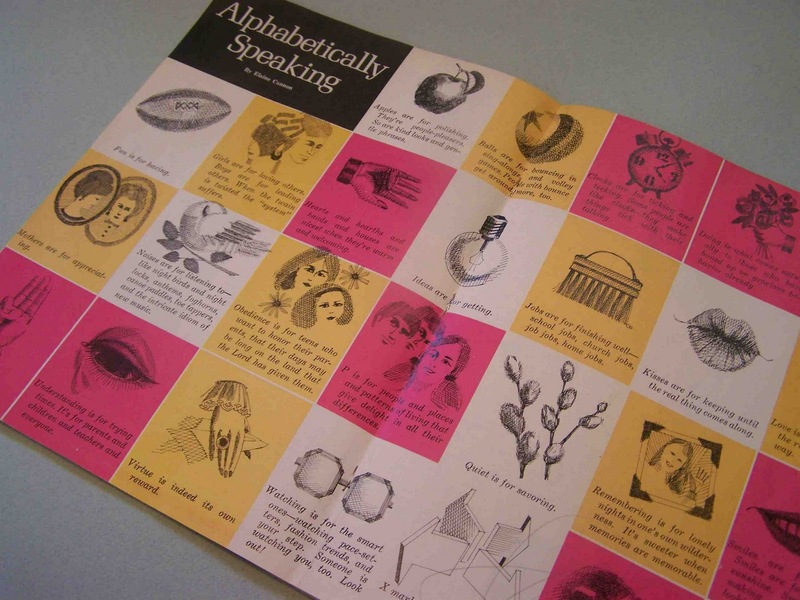 You really can use a variety of materials to appeal to any person. I think that my brothers would love a wallet made out of old hiking trail maps, or perhaps a periodic table. 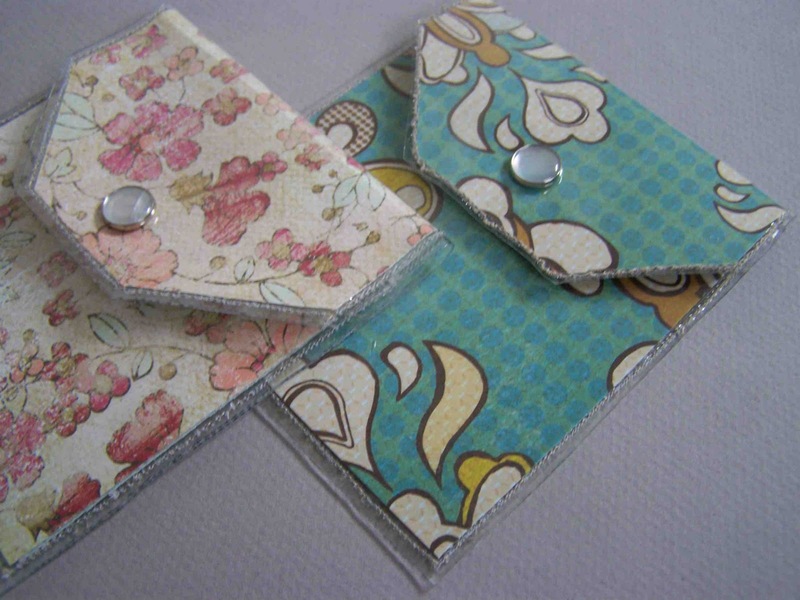 It would also be fun to use family photos for a gift card holder for a grandparent. Material Note: I used medium weight (blue) vinyl from Wal-mart. 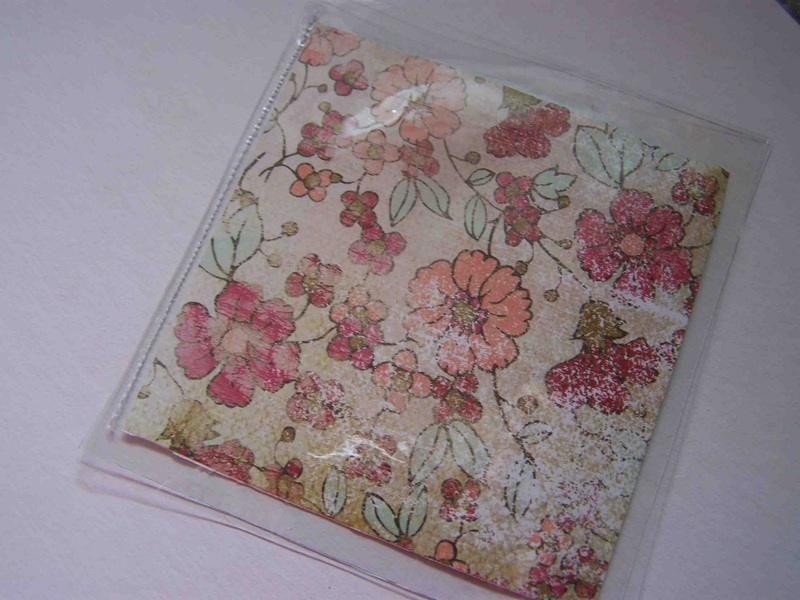 It is sold by the yard and is generally 58" wide. I paid $2.44 per yard. 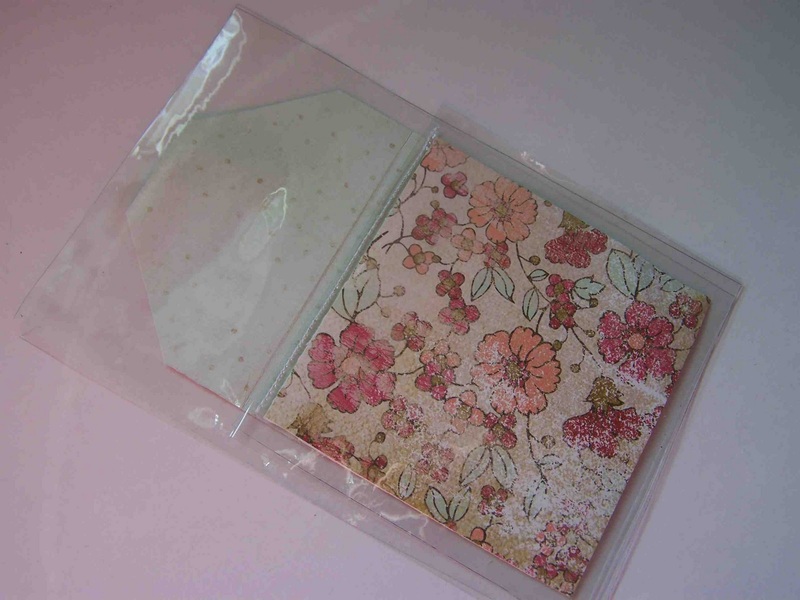 The floral paper is card stock. I prefer the thicker weight of the paper to the thinner magazine paper. If you have questions, or if my instructions were unclear please let me know. So pretty! I love the papers you used. Great tutorial, you make it look so easy. I esp. like the velcro version! You've done it again! I'm now shopping for leather and vinyl. These are adorable and so versatile. Such a nice easy gift idea too. 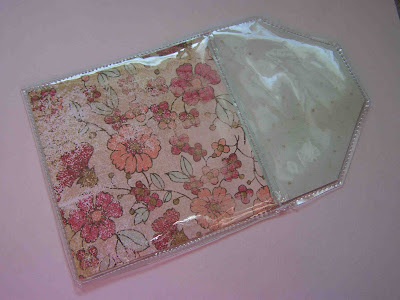 Perfect size for sticking in a back pocket when you don't want to have to carry a full wallet/purse. Thanks for the tutorial! Very good idea for stocking stuffers! Thanks for the play-by-play Tricia! So cute and definitely handy!! Awesome tutorial! Thanks for linking!! I love this idea! Very cute, simple and so many possibilities! Thank you for sharing! Fantastic plastic! What a cool looking wallet, good for males or females, great. love it. genius. thanks for the tutorial. do you think that this will hurt your sewing machine? Fabulous Idea! I will be making this by the dozens!! Great way to use up extra papers too! Thank you for this tutorial! Oh, these are so cute! I have tons of vintage paper I am about to pull out and feature on my blog...and I will link to your tutorial to show them how cute and easy! I think I will make mine out of an old cookbook I have. :) Love it!